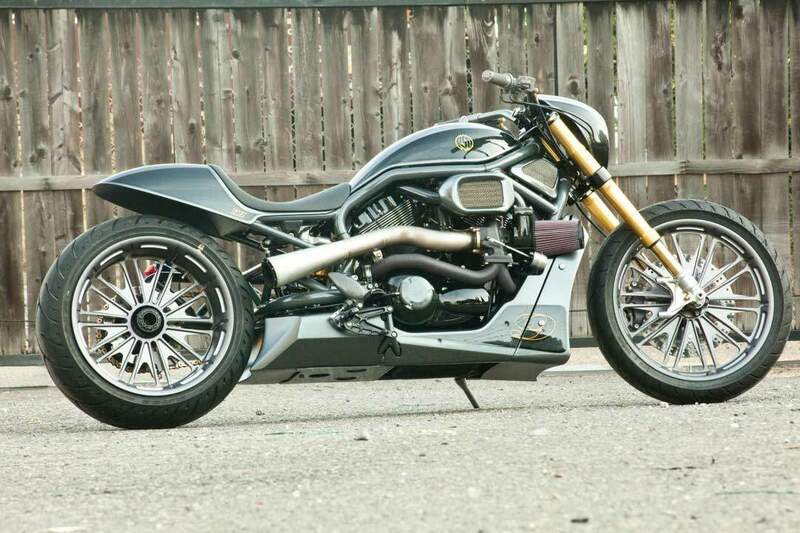 Roland Sands build this Nightrod for a customer that needed much more power, NHRA power. 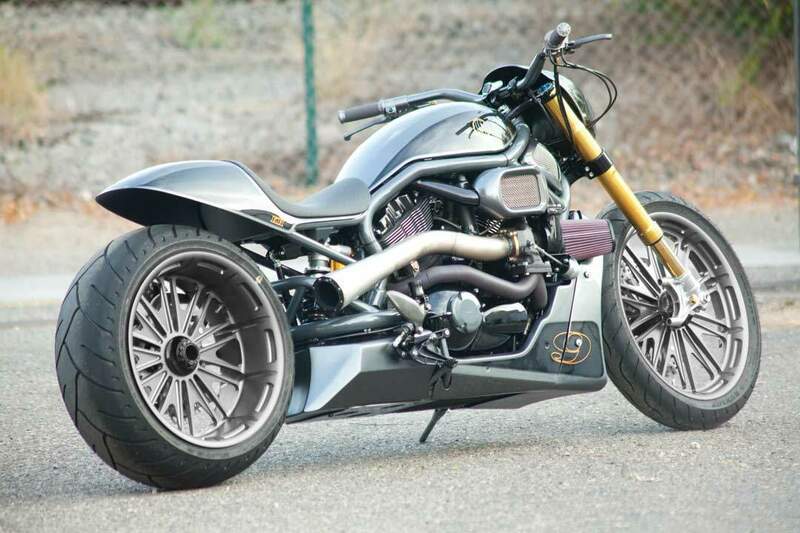 So they decided they would step this V-rod’s game with a Trask Turbo and a full-body makeover. 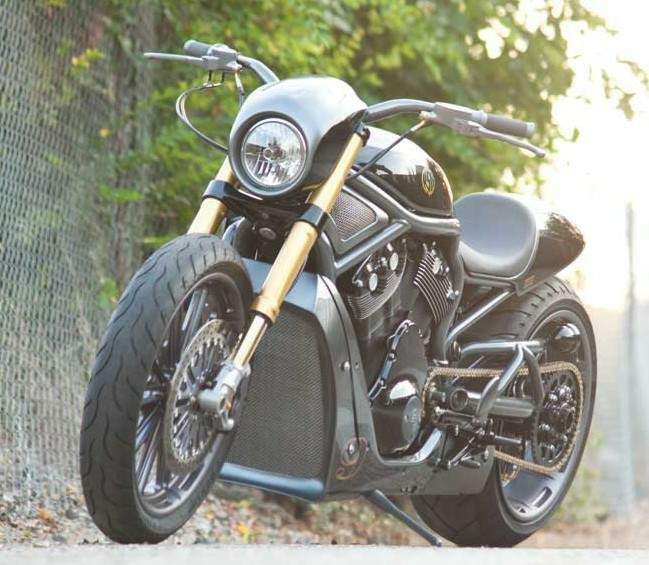 Roland say " The bolt-on 160HP turbo system with Zipper’s Performance auto-tune computer, brought the V-rod from a road rumbler to a road ripper. The rear of the bike was cut and corrective fabrication was applied. We built a single-sided swingarm, new sub-frame, topped that with a handcrafted tail section while flanking the sides with aluminum panels that blend into a carbon fiber front cowling. Fuel was relocated to the belly pan for low CG. Custom made billet triple clamps and Ohlins Road & Track forks and TTX shock with linkage keep her Dunlop tires planted at speed. As mentioned before, we utilized our new digital iPhone gauge which comes included with the free RSD App. It has a GPS speedometer mode but we opted to link the iPhone to the bike’s computer using an interface from Gaugeface. We secured the phone to the bike using a Rokform case and RSD-modified Rokform mount. We can now see all the necessary engine vitals and stay charged at the same time. 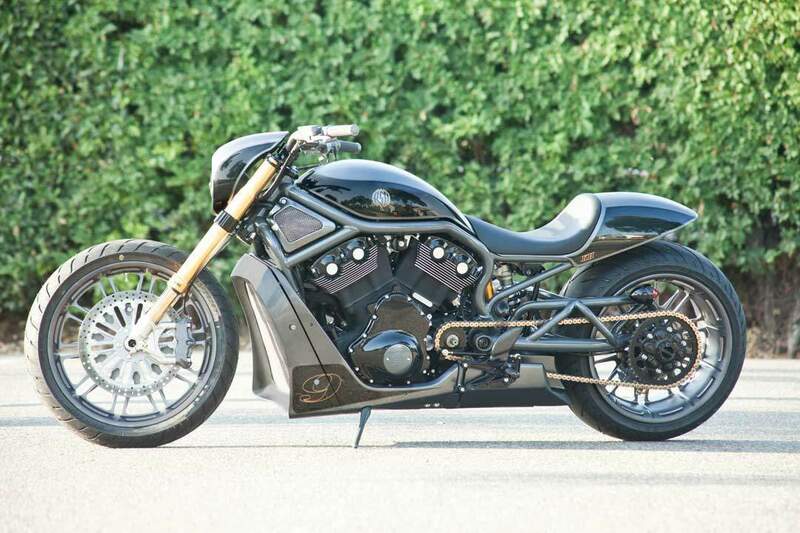 This bike is equally at home on a drag strip as it is on the sunset strip."